New video breaks down one of sci-fi cinema's most iconic sequences. When modern filmmakers like Lynne Ramsay and Nicolas Winding Refn are accused of being 'arty', it usually means that the viewer was unwilling to engage with their cinematic storytelling. As TV - which favours plot, dialogue and exposition over mood, atmosphere and emotion - becomes the dominant form of screen storytelling, audiences are in danger of becoming visually illiterate, growing disinterested in traditional cinematic storytelling, preferring to have everything spelled out in words. Could a mainstream Hollywood production like Stanley Kubrick's 2001: A Space Odyssey be made today? Probably not. For a start, with half the cinema audience spending more time staring at their phones rather than the big screen, Kubrick's visual storytelling might be considered largely redundant. 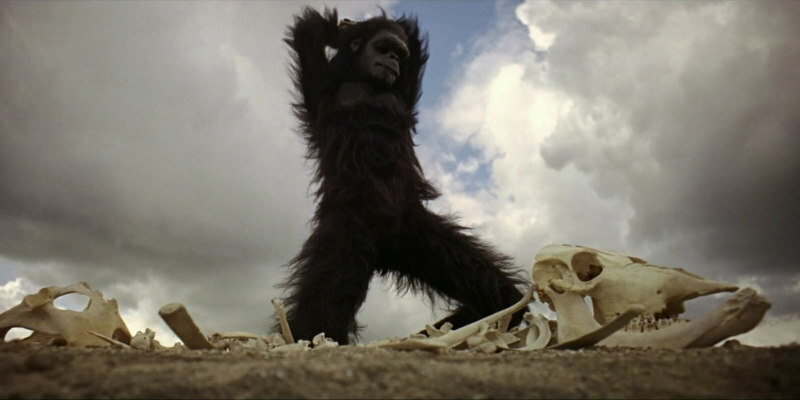 A new video essay by Wolfcrow breaks down 'Dawn of Man', the dialogue free sequence that opens Kubrick's film, and looks at how Kubrick tells us a story on purely cinematic terms.